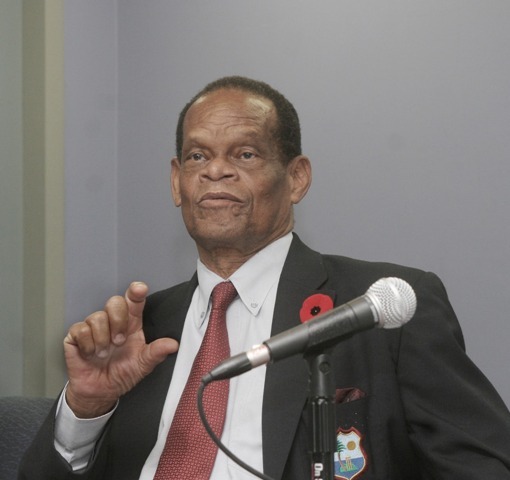 [www.inewsuyana.com] – The West Indies Cricket Board (WICB) President Whycliffe ‘Dave’ Cameron has congratulated to former WICB President, Dr. Julian Hunte, following the announcement of his knighthood. This comes as a result of his outstanding contribution to the public and private sector in Saint Lucia and the Commonwealth Caribbean community. “Dr. Hunte’s service to St Lucia in the realms of politics, sports, diplomacy and government and his service to cricket in the Windward Islands and the West Indies make him unquestionably deserving of this illustrious honor,” the WICB Media quoted President Cameron as saying. “The West Indies cricket family is extremely proud to salute Dr. Hunte as he is set to receive such esteemed recognition for his contribution to sport and society,” Mr. Cameron said. Dr. Hunte was elected President of the WICB in 2007 and served until 2013. He was also President of the Saint Lucia Cricket Association and the Windward Islands Cricket Board of Control for over two decades. Dr. Hunte also served as a Director of the International Cricket Council during his tenure as WICB President and chaired the global governing body’s Governance Review Committee. Hunte is the third former WICB president to be knighted after the late Sir Clyde Walcott and Sir Wesley Hall.